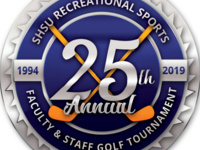 Bring three of your co-workers and register by Wednesday, May 8 for the 25th Annual Faculty and Staff Golf Tournament, scheduled for Monday, May 13. The four-person scramble is a great way to kick off the summer. The tournament will be from 7 a.m. - 2 p.m. at the Raven Nest Golf Club. The cost for early registration is $55 through April 26, and $60 until May 8 for regular registration.